The Southwest Defense Complex provides the ultimate resource for mission success and leadership through this century and beyond. 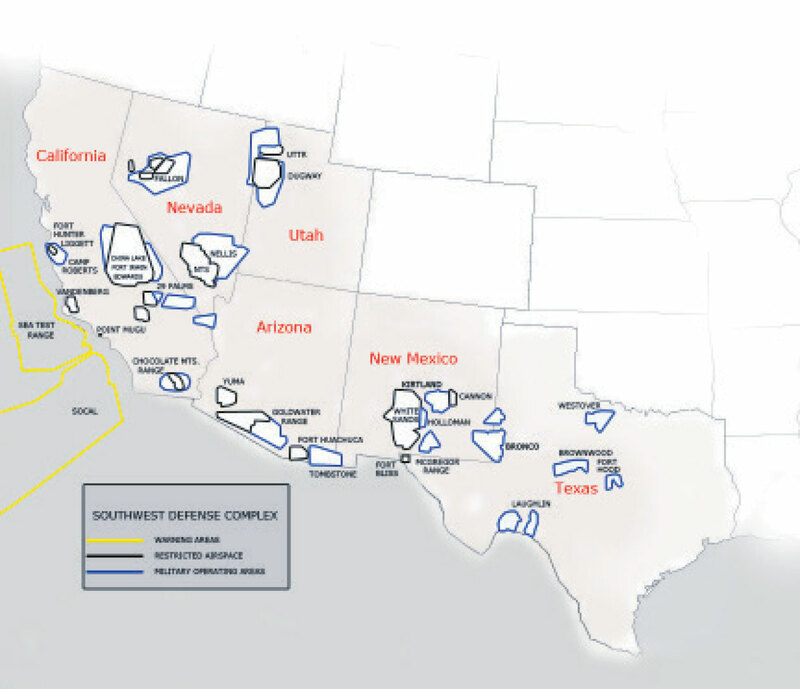 The Southwest Defense Complex includes important military test and training facilities in Arizona, California, Nevada, New Mexico, Utah, and Texas. This six-state complex is uniquely suited to modern warfare’s challenges. Within its “theater” lies the most extensive array of test and training ranges, laboratory facilities, weapons expertise, and technological research and development in the world. These assets are managed by the Department of Defense military branches and other federal agencies such as Department of Energy, Department of Homeland Security, and National Aeronautics and Space Administration. This impressive complex supports the research, development, test and evaluation of new technologies, new tactics and doctrine, and the continuing preparation, training and readiness of war ﬁghting units and personnel prior to combat deployment. Joint service and interagency operations are conducted daily in support of military force structure requirements, new technologies and weapons systems.